Everyday computing just got easier with the Dell Latitude 11 5000 Series 5175 2-in-1 Notebook PC. Enjoy true reliability on the road or at home with a simple, yet powerful value-packed Notebook that gets the job done. Fully loaded with an Intel Core m2-6Y30 2.2GHz Processor and 4GB DDR3 Memory, the Dell Latitude 11 5000 Series 5175 2-in-1 Notebook PC makes for a speedy and efficient PC. The 128GB SSD provides ample space to store all crucial data safely. The 10.8" FHD Touch Display provides for crystal clear viewing. 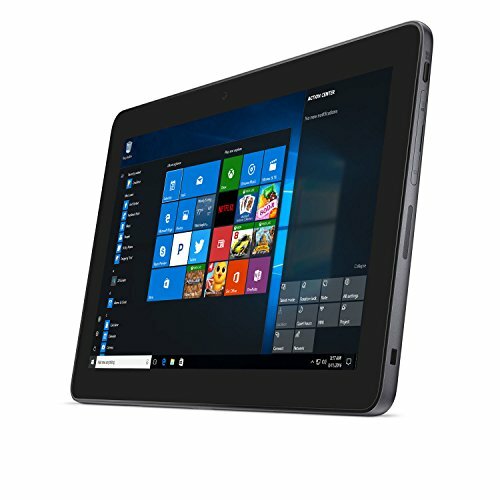 The Dell Latitude 11 5000 Series 5175 2-in-1 Notebook PC is also pre-loaded with Windows 10 Pro that offers a user-friendly interface.